Yesterday I had to go to Paris for a day. I flew there in the morning and back the same evening. The business that I had there only took me a very short while, and I had about 4 hours to spend. I could go and do some sight seeing and museums, but I had a better plan. The day before I’d looked up some yarn stores and decided to visit as many as mine time would allow me. I found this post particularly helpful and worked out the root to visit 4 places. And I did! Yay! 1. My first stop was Lil Weasel. It is a beautiful store with lots of beautiful yarns, but for some reason I didn’t really like it there. First thing that put me off, was that I could not find any prices for the yarns. I eventually found the price list on the wall, but it still didn’t feel right to go there and back between yarns and the list all the time. From the selection that was there, I thought I’d try to pick up 2 skeins in matching colours to make a bunny as a present for a friend’s baby. All yarns were sorted by colour, all brands and types mixed together. So I’d find one skein of the type and colour I likes, go to a different colour section spend there a few minutes looking only to find that there is no matching skein available in the same quality. The staff seemed to ignore me completely, so eventually I left, empty-handed. 2. 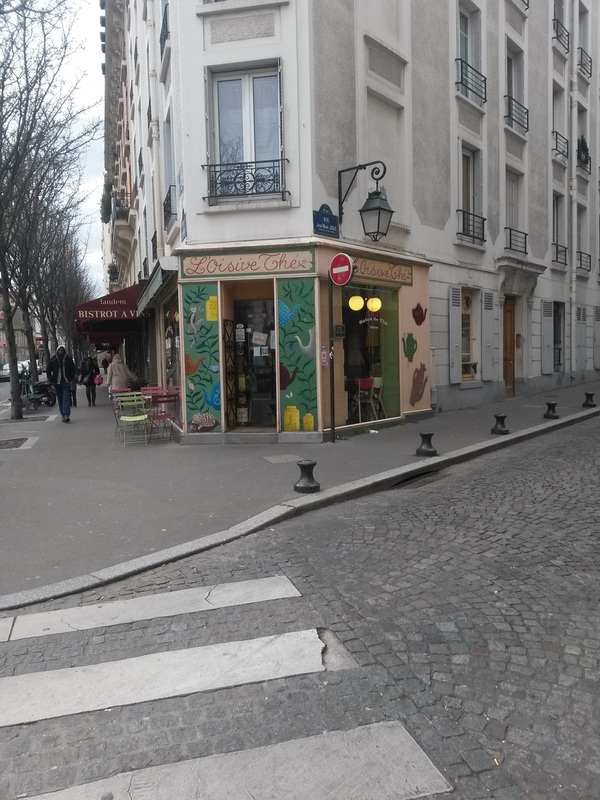 My second stop was right next to Monmartre – Chatmaille. This place probably looked the least attractive from the outside, but I loved it there. 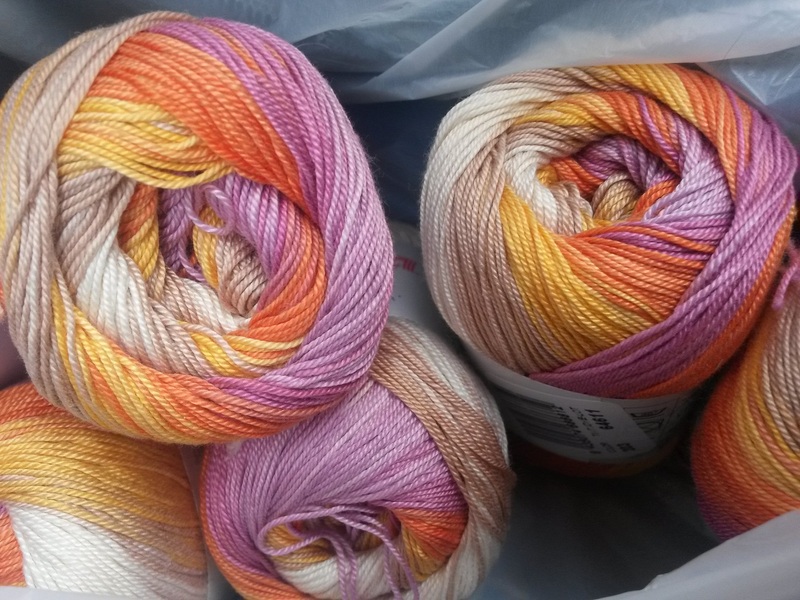 I guess main reason was that they had my dream yarn – Jaipur by Katia, so this was my first buy of the day. I’m sorry to say, but the Beige Dress will have to wait, as this is so much more fun! The lady was very helpful and friendly, and I looked around for other yarns. They stock a lot by Katia, which is becoming my favourite European brand, and some other yarns. All in all, great place. 3. 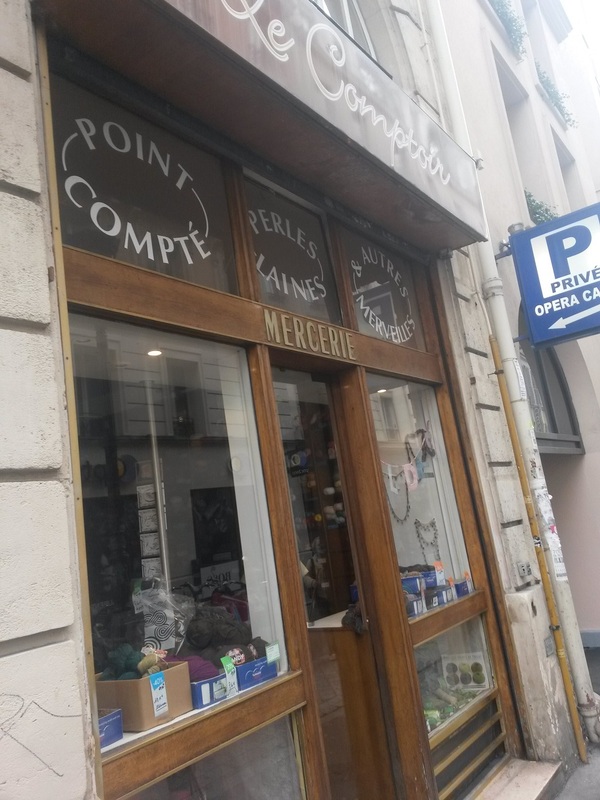 I then walked for about 40 minutes to get to Le Comptoir. This one didn’t click with me just like Weasel. They also had some great yarns and they had sales, but for some reason nothing caught my eye. So I was back to underground on my way to the last stop. 4. L’OisiveThe et Tricot. It’s good that we don’t have a place like this close to where I live – I’d go broke. A coffee shop where apparently children are welcome (I saw some toys on the shelves). Most lucious yarns on Earth. Friendly people. Darn expensive. I looked and looked and looked. I knew from my on-line search that I’d have a problem leaving that place empty-handed. But having splurged on Jaipur, I really had to keep my cool. And then I found it. Socks that Rock – given that it’s a big 146gr skein, that price was good. And the shop assistant my some kind of magic knew exactly which colour I wouldn’t be able to part with. Great place, and they are opening a second shop soon. 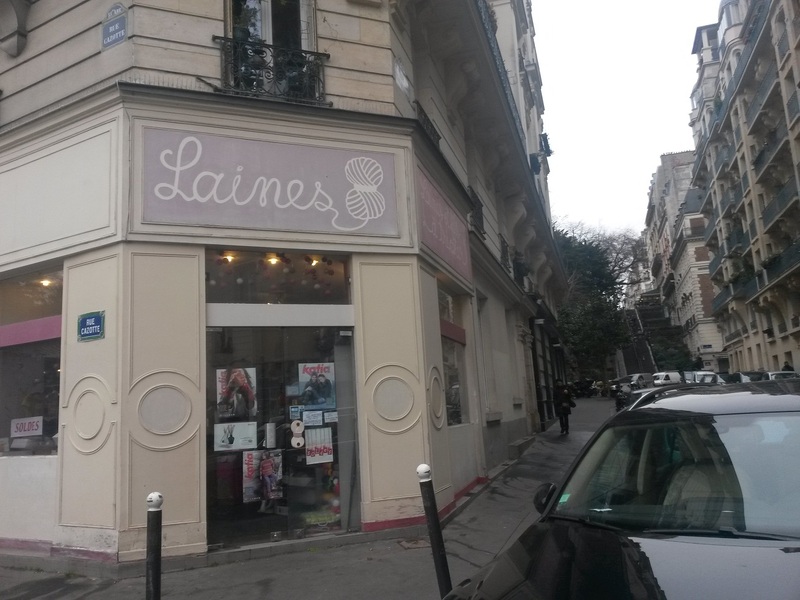 If you are ever in Paris, check them out! 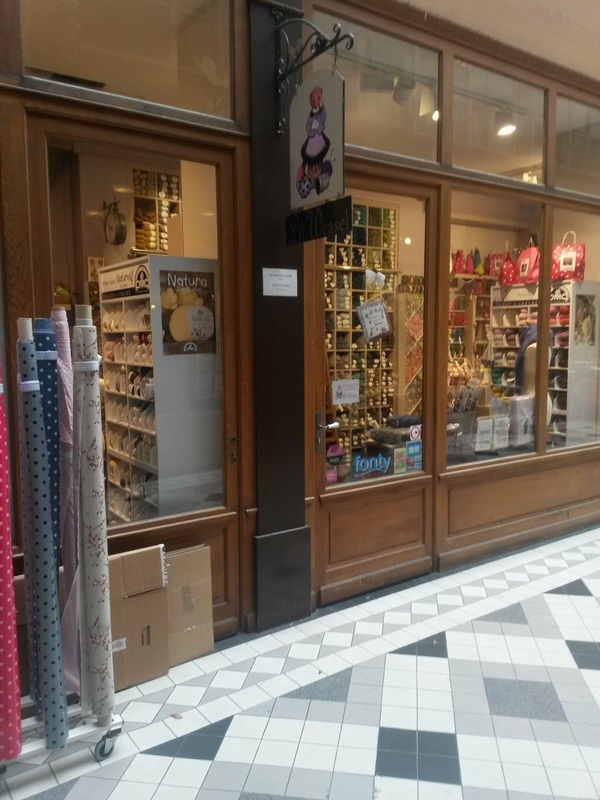 Separator image Posted in General news, My kniting & crochet, Stash )) and tagged with LYS, yarn shopping, Yarns in Paris. :) I can definitely recommend them! I think all four are good – but the other two didn’t click with me personally.